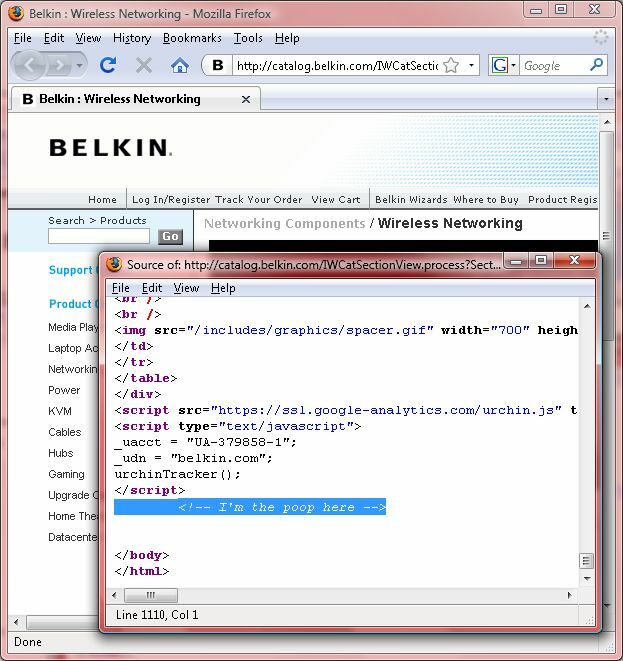 From Vanessa Thomas: "Line 1110 of the source code just made my day." Rick Olson clicked "yes" because "Danger" is his middle name. Elizabeth's only thought when this popped up was "Yes. Yes, it would be." Jamie Kitson has finished sending in this screenshot. Brad got this error while trying to scroll down the page with the arrow keys. Brad, I officially give you permisison to use the arrow keys for scrolling on The Daily WTF. Don't worry, Nick Hendry, those responsible for putting this online have been sacked. JoAnne must have clicked Yes to confirm, thereby causing the scan the finish stopping and also disabling the arrow keys. She might have avoided sacking for this, had she not also left a comment about being "the poop here" in the code. Let this be a lesson to all of you. 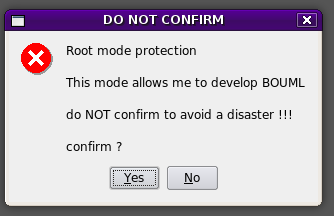 Never click Yes to confirm, or you will be sacked!